Brookline Bank has selected Complete Payroll Solutions (CPS) to provide cost-effective payroll, compliance and integrated human resource solutions for its business banking customers. A high-touch, affordable provider of payroll and HR solutions, CPS has over 6,000 customers in the Northeast and 10 New England-based offices. CPS delivers quality products and a level of customer service that integrate seamlessly with Brookline Bank’s high standards. CPS’s services ensure that customers are compliant with ever-changing federal, state, and local regulations. In addition to payroll the company offers optional human resource tools including employee handbook creation and health and benefits administration services. 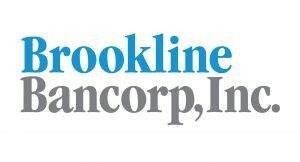 Customers can learn more about these new services at the Brookline Bank Payroll Services web page, here. Complete Payroll Solutions is the Northeast’s largest and fastest-growing human resource, benefits and payroll service provider, helping employers address the ever-changing complexities of employee life cycle management. Founded in 2003 by owners with a long tradition in the industry, Complete Payroll Solutions has maintained its “customer first” philosophy that has defined the company since its inception, even amid rapid growth. Investing heavily in the belief that local is better, the company continues its mission to deliver cutting-edge technology with world-class products and service at the community level. Complete Payroll Solutions now has 10 locations throughout the region that service more than 6,000 business customers and is continuing to expand in area communities. To learn more about the company, visit here.